Mr. Shriver holds fond memories of his 19-year career teaching art and painting to students at Asbury University. Now retired, he remains active within the art community through gallery showings of his accessable, but still complex, artwork. Holding a Master of Fine Arts from The University of Tennessee, his work exhibits an interaction with the viewer on a very personal level. He is well known as an empathic and extroverted artist who holds a deep passion for creative expression. A former participant in the Partners of America art exhibit featured in Brazil, he hopes to expand Gallery 41, where he currently displays his work. 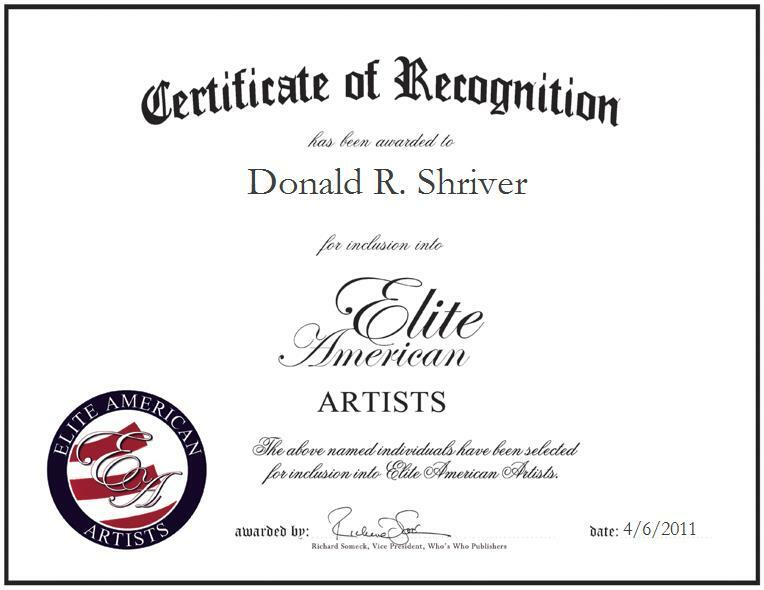 For more information on Mr. Shriver, please visit his website at http://donaldrshriver.com.